WhiteSmoke, Inc. - Wilmington, DE. Sept. 15th, 2009 – WhiteSmoke announces the immediate availability of WhiteSmoke Writer, the upgrade from WhiteSmoke 2009. The launch of WhiteSmoke Writer is accompanied by a huge competition, with a round-the-world plane ticket for the winner. WhiteSmoke Writer is a complete software solution for editing and enhancing English texts. 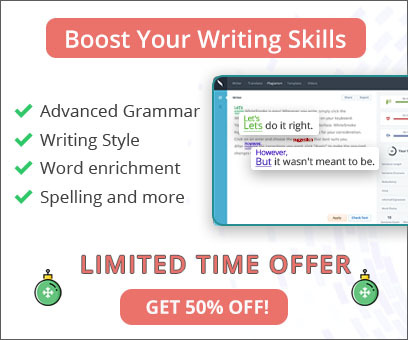 Features include a grammar checker, writing style checker, writing review, dictionary-thesaurus, and more. This release introduces a name change (“Writer”) in preparation for a number of new software solutions for language and writing from WhiteSmoke. A major new feature, Writing Review, is introduced, as well as a number of updates and fixes. WhiteSmoke Writer features a complete revamp of the GUI, with several work-flow improvements. It is now easier than ever to check your writing with WhiteSmoke Writer, and return the corrected text back to the original application you are working in. The application now features faster performance and all-round improvements to the precision of the checking algorithms. Improvements have been made for better compatibility with Word Perfect and Open Office, as well as with all 64 bit versions of Windows operating systems. “After several years of increasing our user base and enhancing our text analysis technologies, we are in a strong, market-leading position with WhiteSmoke Writer, and this latest release consolidates this. 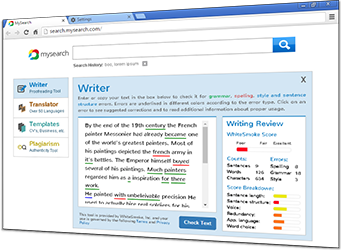 With these latest features and enhancements, WhiteSmoke Writer users have the best tool available to edit and enhance their English writing,” claims Amit Greener, VP of Marketing at WhiteSmoke. Accompanying the launch of WhiteSmoke Writer, WhiteSmoke is running a competition on its website. Anyone who registers at the WhiteSmoke shopping cart is eligible to enter. Entrants are requested to send a 1-2 minute video, or a text, detailing a humorous or interesting story related to language miscommunication. Eligible entries will be published on the WhiteSmoke.com website. WhiteSmoke staff will then select a winner who will receive a round-the-world plane ticket from their country of origin. Entry to the competition closes on October 15th 2009, and the winner will be announced on October 20th 2009.